Dan Forth blogs about the world of travel as he sees it. Travel and technology walk hand in hand. From Ipads to laptops, James DeRuvo gives us the latest on technology for the mobile world. Paul and Elizabeth talk with Scott Jordan the creative force behind some of the most innovative travel clothing we’ve found. We’ve owned Scottevest products, a blazer and two jackets for several years. Then a few months ago we saw Gary Arndt wearing this cool jacket and he said we had to talk with Scott. Funny how the world runs in circles. The jacket is called the Transformer and Scott tells us how it works and what makes it special. Paul’s blazer has stood up to the rigors of the road for several years and although he hasn’t tried to carry a laptop in one of the huge pockets he doesn’t doubt that he could. The clothes just don’t wear out and with the patented pockets and a bunch of other features they are perfect for travel and especially traveling light. One carryon and a Scottevest jacket or blazer is all we travel with. Our consumer correspondent Laura Daily, spent a few days in Las Vegas searching the halls of the Travel Goods Show and scoping out the latest trends in luggage. Wheels rule and both soft and hard side luggage is vying for consumer popularity. Laura find some trends and discusses the state of luggage with Paul. Paul remains on the eternal quest for the perfect luggage. He is also one of the last people in the known universe to remain wheelless. Leon Logothetis has written a compelling book Amazing Adventures of a Nobody. As he describes his journeys that he chronicles in the book to Paul it becomes clear that he is a traveler bent on connecting with people in the most basic and kind ways. He depends on the kindness of strangers for the success of his journey and while sometimes disappointed many times he meets people who not only exemplify the best of humanity but who reveal an amazing side of the our society. 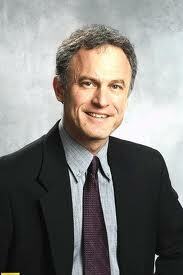 He is also speaking both Jan 28 and 29 at the Los Angeles Times travel show. The Times travel show is a yearly not-to-be-missed event for anyone who enjoys travel. It’s a great way to learn about new destinations and search for bargains. A review of the best gadgets at the Consumer Electronics Show in Las Vegas, and why your router may not be as safe as you think it is. Also … cutting the cable! The new Epson NX430 All in one wireless printer is a surprising addition to your home photo studio. 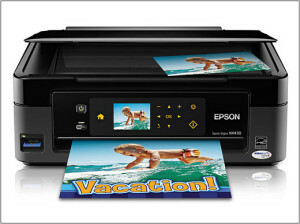 With the ability to print, scan and copy, it could be a very good tool for making quick vacation prints. Also, making your own vacation books with Keepsy, and choosing your airline seat mate via Facebook? James joins Paul with the details. Steve Kaufer the creator and CEO of Tripadvisor , joins Paul and Elizabeth to discuss the success of taking the world’s largest travel site public. Steve talks about the beginnings and the challenges along the way. He also discusses how Tripadvisor has revolutionized the travel experience for millions and how transparency in the process of choosing hotels, through informed crowd sourcing, has evolved. He also talks about how the Tripadvisor family of companies has grown and helped change other components of the travel experience from cruising to choosing the best seats on a plane. OnTravel Tech Lord James DeRuvo previews the annual Consumer Electronics Show in Las Vegas, aka NerdStock. Los Angeles Times columnist Chris Erskine talks with Paul about great skiing in the West. Chris discusses some lesser known resorts that offer less crowded slopes. They also talk about the upcoming Los Angeles Times Travel Show where you can access a wealth of travel information and find tips on photography with prize winning photographers and talk travel with real experts. 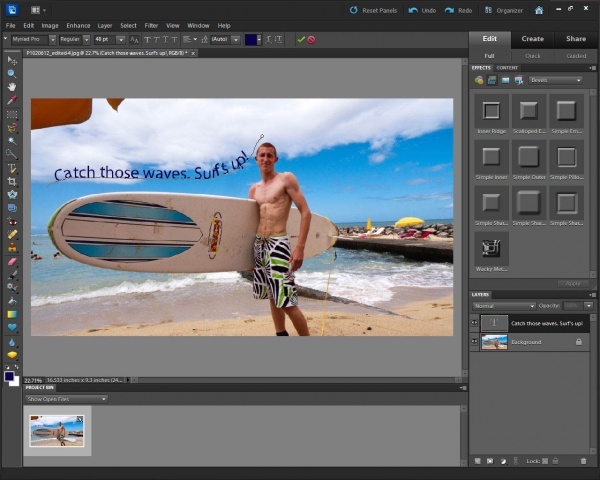 Adobe has come out with some great new features in Premiere Elements 10 that promise to make editing those vacation videos really easy. A push of a button easy. Tech Lord James DeRuvo gives us the details. John E. DiScala (a.k.a. Johnny Jet) travels around 150,000 miles and visits over 20 countries each year. He and his website JohnnyJet.com have been featured over in more places than you can count. It’s has been named “one of the top best money-saving web sites for travel” by Budget Travel Magazine, while the L.A. Times calls it “one of the top 10 essential travel resources on the internet.” Here he returns to Traveling to chat with Paul and Elizabeth about the benefits of hotel loyalty programs like HiltonHonors.